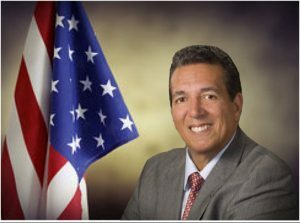 Bernie DeCastro founded Time for Freedom, Inc., (TFF) a faith-based, Florida non-profit 501 (c)(3) organization to preach and teach the gospel of Jesus Christ to prisoners and to provide transitional reentry services to ex-offenders. Today, Bernie is a single dad of 5 children from 18 to 28. He is the CEO of the Reentry Center of Ocala, a private 100-bed work release center for men who are transitioning from prison back into society. The prisoner has now become the Warden, so to speak. God is good! Since his parole from prison in 1984, Bernie has dedicated his life to keeping Florida’s citizens safe by helping inmates and ex-inmates live productive law-abiding lives. Mauricio Chevalier has 14 years of experience in the Correctional System. He began his career in 2003, when he became certified as a Correctional Officer for the Florida Department of Corrections. In 2005, he started to work part time for Time For Freedom Inc. while working full time for the Department of Corrections. He advanced his way through the ranks of Sergeant, Classification, Assistant Director, and Facility Director. Mauricio Chevalier retired from the Florida Department of Corrections as a Classification Officer on December 10, 2010 to pursue his passion in helping the men incarcerated become successful law-abiding citizens. 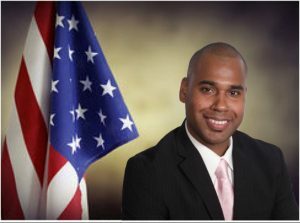 Mauricio Chevalier worked at 2 different facilities during his career with the State of Florida, to include working with youth offenders, female offenders, male offenders and Mental Health Units. 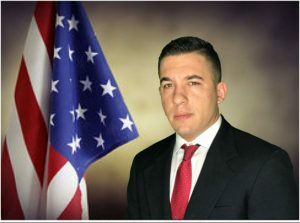 Mauricio Chevalier attended Iona College where he majored in Computer Electronic Science and Saint Leo University where he majored in Psychology. David DeCastro has nine years of experience in the correctional system. He began his career in 2008 when he started full-time at the Re-Entry Center of Ocala. By working his way up through the ranks of different positions offered at the center, he developed the fundamental knowledge and skills that it takes to operate a facility of this nature. In 2008 he also began serving as Vice President of Time for Freedom, Inc., Board of Directors. David was inspired by his father, Bernard DeCastro, whose life-changing experience has impacted and transformed many lives through the years. David has learned to encourage clients to become active, law-abiding citizens of society. He intends on carrying on his father’s legacy through experience gained in the fast-paced and ever-changing environment that to him is very rewarding.